All medical officers attached to primary health centres and community health centres have been sensitised for categorisation of the diseases and also for giving protocol treatment for swine flu, dengue or chikungunya patients. 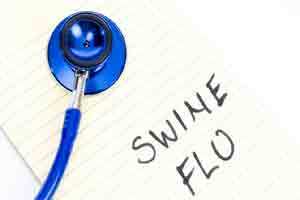 Puducherry: With Puducherry registering 39 positive cases of swine flu so far, the officials of the Health department are kept on high alert, Health Minister Malladi Krishna Rao said in a statement Monday. The minister held discussions with Director of Health Services K V Raman and officials of the public health wing of the department reviewing the steps taken to prevent the spread of swine flu, dengue and chikungunya in the Union Territory. It said that so far Puducherry reported 39 positive cases of swine flu and the patients were being treated in the centrally-sponsored JIPMER and in the Indira Gandhi Government General Hospital, Indira Gandhi Government Medical College Hospital and Rajiv Gandhi Women and Child hospital here. The statement said that the number of cases reported this year was, however, five per cent less than the number of cases reported during last year. Necessary arrangements, including the opening of separate isolation wards, were made in the Government General Hospital, Medical College hospital and also in the Government Women and Child hospital here to treat swine flu patients. The hospital authorities were issued instructions to keep the stock of medicines ready. All medical officers attached to primary health centres and community health centres have been sensitised for categorisation of the diseases and also for giving protocol treatment for swine flu, dengue or chikungunya patients, it said. The hospitals were directed to review the situation on a day-to-day basis and also to generate awareness among the people on ‘dos and donts’ to prevent the occurrence or spread of the diseases, it said.